Hi! 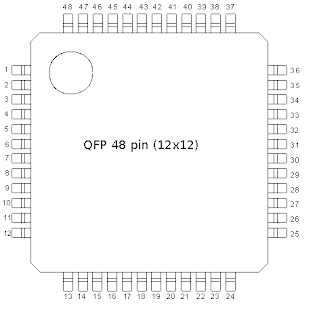 Do you know anything about 51F51 controller? It is single-chip solution for smart batteries. I found it in my Thinkpad T530 9-cell (94WH) battery. Google provide links to the AliExpress but there is no any Datasheets. No clue, sorry. It might be a later revision of this Renesas one but that's just a guess. Thank for answer. 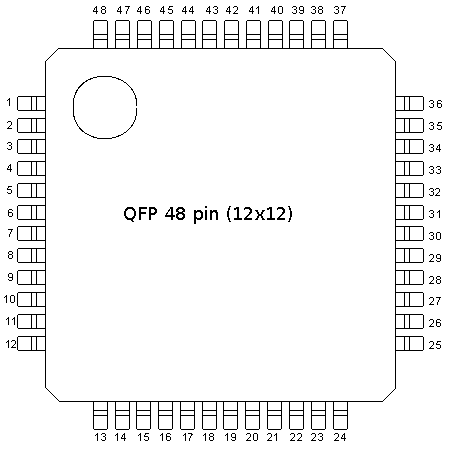 Until wating for my FX2LP board: seems (http://ubrt.com.ua/main/built-in-program-modules/lgc-tools, in Russian, sorry) that 51F51 is a R2J240_51F51. So, R2J240 in another package (TSSOP38). Also, fiwmware LGC too. Unfortunately I can't help you there either. The R2J240 pack I have is already back in service so I don't want to break it apart again and I haven't taken any detailed pictures of the controller board. The procedure I've mentioned in the post (though time consuming) could work. Step 1, measure all voltages Step 2, deduce different sides Step 3, try to find reset Step 4, keep resetting while pulling logic-level pins either high or low while running "watch -n 1 smbusb_sbsreport" and wait until all you get is ERROR scans, then do a scan to confirm that you're in boot rom (or that you've hung/fried the chip, if you're unlucky). User have to calibrate a battery by PowerManager. @Вета, thanks a lot for information! @Вета Thanks for the information. Did you just read the eeprom and the lock was reset? I have Thinkpad x201 and i bought a 6 cell battery from AliExpress. I left it for charge the battery, it charges but when it reaches 100% charge with ac connected for a while, gauge suddenly drops %0 and the battery light charges from solid green to flashing orange, battery voltage stays (12,5v~) what it should be at %100. I could use the full capacity of the battery while the orange battery light flashing. The seller will send a new one but i want to repair the defective battery. Do you have an idea? No clue, sorry. The cheap aftermarket packs are unlikely to use any of these chips. Does shorting the pin12 to ground reset the circuit? I recharged my battery pack from dead to 11.5V(exernally), but it is not working. It says plugged in 0%, not charging. Before I recharged, the battery was not even showing up. But I am still not able to charge it. What is your advice? does flashing it after fixing crc reset it? It resets the microcontroller (ie. restarts the firmware). There's no simple way to "reset" as in clear the failure flag if it's been set which is why this project came to be. Reading the battery related posts from 2016 aug-sep could help get you started. Some experience with electronics and reverse engineering binary blobs is necessary. CRC fix is only necessary for modifying the static area. Failure flag is in the dynamic area. I can't offer any assistance beyond that. Good luck! I understand I have to setup a hardware to do this. Is there a way to access the battery using system smbus without using external hardware, with windows or linux? I am unable to setup the hardware on my own. I have a TI stellaris launchpad with me, but porting the code to it seems intimidating to me. Suraj, FX2 demo boards that uses as programmer so cheap... Just wait it and found time to investigate (my problem...). Question is, ¿besides replacing the fuse what are my choices with regards to the R2J240? Just compare dataflash before fault and after in your favourite hexeditor (hope you save copies), and you can easy locate where PF-flag resides, normally it uses 2bytes and if all ok they are in zero, in PF state they not, change them to zero and reflash. Thanks for working software! Everything works and was able to restore the batteries.